As a husband and wife team, we strive to offer you the very best in Real Estate. Our goal is to educate and collaborate with our clients so that they feel confident in their decisions. 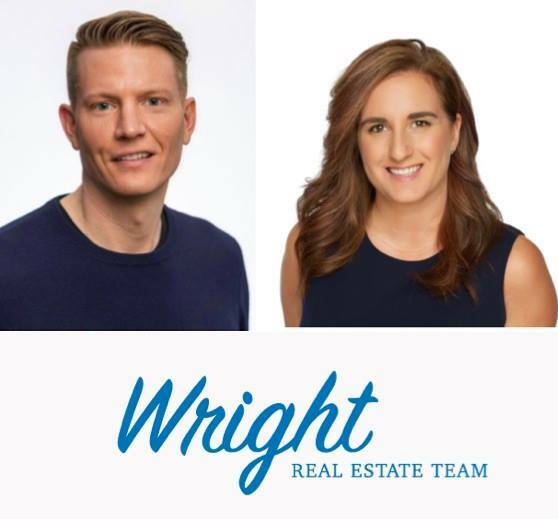 Our approach to Real Estate is that of a "Team Effort", meaning that your input is instrumental to the success of your Real Estate transaction and our long-term success. When you hire us to be your Realtors, we are available directly to you. We believe that if you hire US to assist you with one of the largest investment decisions in your life, that you should be able to speak to one of us; not an associate, buyer’s agent or an assistant. Because we personally handle each file, you can rest assured that great care will be taken on your behalf. It is important to us that clear communication if available to you at all times. We are also customer-centric; meaning that the focus is on YOU, not us. We have made the decision to spend our time and financial resources to be focused on you instead of primarily self-promotion. The fact that over 80% of our business comes from repeat clients and referrals from past clients and other Realtors is a testimony to our commitment. We also are fortunate to have nurtured many of our business relationships into meaningful friendships. We love what we do and hope that you will become lifelong clients. A native Calgarian, Lana has been active in Real Estate since 1994. Working first assisting 2 top producing Real Estate teams enabled her to fine tune her communication, marketing and sales skills, finally becoming licensed in 1998. Lana began her career at a large company, then worked under the umbrella of a couple of local Calgary companies, finally settling down at Real Estate Professionals. Lana is an Accredited Condominium Specialist and has practiced Real Estate in certain sectors of British Columbia, with her license previously held in Kelowna and Vancouver offices. Whether you are a first time buyer/seller or a seasoned veteran, she will make your Real Estate experience positive, fun and exciting; empowering you with the knowledge to complete your transaction with confidence. Lana prides herself on creating long lasting relationships with her clients. As well as her designation as a CCS (Certified Condominium Specialist), Lana is a member of the Calgary Real Estate Board’s Million Dollar Club (2002, 2004, 2005, 2006). Lana contributes to the community through volunteering for various organizations and through her company "Womentum" bringing successful entreprenurial-minded women together through a community of collaboration, friendship and action. In 2016, she was awarded the first ever "Mentorship" award through Canadian Business Chicks. Lana is also the lead singer of a Blues-rock band in Calgary. Steven was born in Markdale, Ontario and moved to Calgary in 1994. He was a successful retail manager for a large sports store where he honed his many sales, negotiation and people skills, enabling him to become successful in Real Estate once he was licensed in 1998. Steve worked at a small boutique style Real Estate Firm, where he met Lana. They married in 2003. Together they moved to various companies before settling down at Real Estate Professionals. His skills in managing many people has translated well in to his Real Estate Career. Steve manages the stress of the business, while ensuring that his clients are well taken care of. He is a great problem solver and will go the extra mile to ensure that his clients are completely satisfied. Steve’s great sense of humour, pleasant attitude and his vast knowledge of the Real Estate market will increase your comfort and reduce your stress with it comes to buying or selling a home. Steve is an avid cyclist, scuba diver and recently rode his bike from Calgary to Maine as part of a fundraiser for Calgary based "Wellspring"; a non-proit organization that empowers people experiencing cancer. He has since ridden his bike each year for the organization's annual "Cancervive" fundraising bike ride.